Resound is a chamber chorus of volunteer mixed voices based in San Francisco. We believe that ensemble singing is a visible metaphor of different people coming together to create beauty and harmony. We believe there is no disconnect between art and popular music, and we juxtapose unlike pieces to reveal something impossible if they were performed alone. When people ask us about the music we sing, we often say we're the ensemble of the shuffle generation! Resound is made up of professionals from a wide variety of backgrounds — teachers, small business owners, scientists, tech workers, videographers, even a few professional musicians — who assemble on Wednesday nights to create amazing music together. 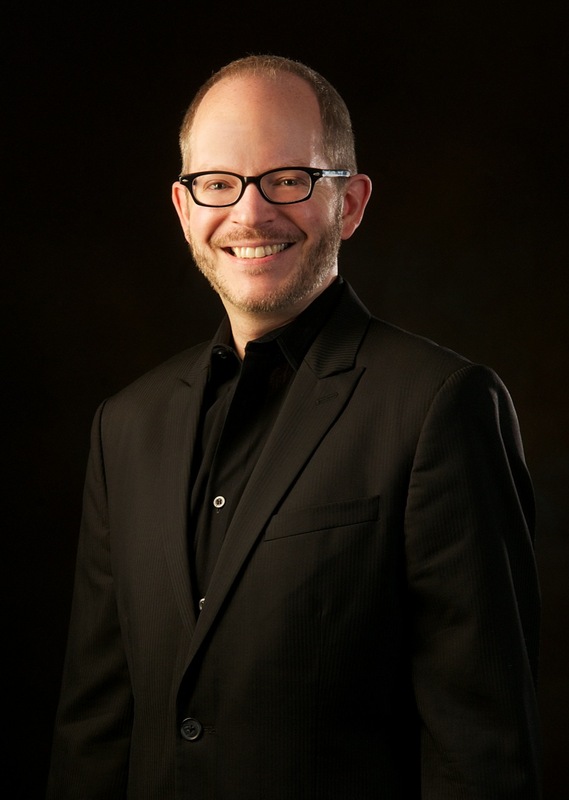 Dr. Ben Riggs joined Resound Ensemble as Artistic Director in the fall of 2018. Ben was most recently the full-time Artistic Director of Twin Cities Gay Men’s Chorus, a 160-member volunteer arts organization in Minneapolis, MN. Ben also served as the Artistic Director of both the Denver Gay Men’s Chorus and the Boulder Chorale, a 120-voice volunteer mixed chorus in Boulder, CO. An experienced church musician, Ben currently serves as the Minister of Music at St. John’s Episcopal Church in Oakland, CA. Ben is a founding member of Firesign Vocal Quartet, a Denver-based professional vocal quartet. Ben recorded two albums with Firesign: William Byrd & Terry Schlenker: Masses for Four Voices (2011) and Follow We This Joyful Birth (2012). While in Minnesota, Ben performed with The Singers—Minnesota Choral Artists, a professional choral ensemble under the direction of Matthew Culloton. Ben holds a Bachelor of Music in piano from Wheaton College Conservatory of Music, a Master of Music in choral conducting from the University of Colorado-Boulder, and a Doctor of Musical Arts degree in Choral Literature and Performance from the University of Colorado-Boulder. Ben lives in Berkeley, CA, with his husband, the Rev. John F. Dwyer, and their 160-pound Bernese mountain dog, Lincoln. Resound Ensemble's Board of Directors is assembled from individuals active in support of the arts. As a working board, each member is charged with responsibilities to develop the goals of the organization. Resound Ensemble currently has openings on its Board of Directors. We would love to talk to individuals interested in learning more about our organization and potentially joining our Board. If you would like to to contribute to Resound Ensemble's management, marketing and success, contact our Board Chair, Anne Cramer.